Regarding a survey on college-based sexual assault, what percentage of victims didn’t feel the assault was serious enough to report to police or the school administration? – Conflict Research Group, Intl. Regarding a survey on college-based sexual assault, what percentage of victims didn’t feel the assault was serious enough to report to police or the school administration? 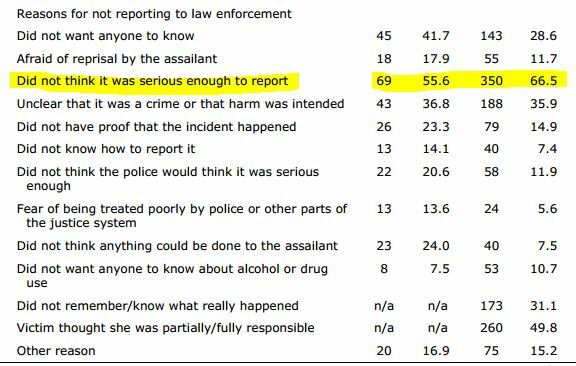 55% – 65% of victims did not think the assault was serious enough to report.